Dr. Dragos Calangiu is a medical reviewer of Bredent® Implant System. Dr. Calangiu has completed an internship at the “Carol Davila” University of Medicine in 1998, the year he also started his career as a dentist. He specializes in dental implantology, and since 2005 he has become part of the DENT ESTET team . 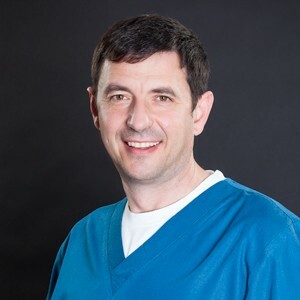 Dr. Calangiu is one of the first dentists in the country specializing in modern restoration techniques using Bredent Fast & Fixed dental implant system. Keeping in touch with the latest trends in his domain, Dr. Calangiu frequently attends specialized trainings in Implantology and Aesthetic Dentistry in Romania and abroad.